Our doctors have evaluated all the Omega 3 Fatty acid supplements and they recommend the PRN omega-3 products which contain both a high amount of DHA and EPA. 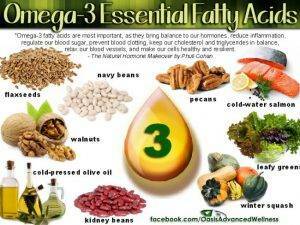 At PRN, their omega-3 products are in the triglyceride form. Many other fish oil products are low quality, unpurified, or are sold in a synthetic, ethyl ester form. This form, which is more difficult to absorb, can leave a fishy odor or after-taste. It could take up to 40 synthetic capsules to equal the same benefits found in just four capsules of PRN’s products. PRN provides customers the most scientifically – based, pure and efficacious nutritional supplements possible. They stay current with the evidence and reformulate their products in response to the ever-evolving body of research. Each product has been carefully crafted based on peer-reviewed scientific evidence. The formulations are reviewed and approved by the medical advisory panel. PRN products are manufactured in world-class facilities. These facilities* are GMP Registered by NSF International. Additionally, every batch of PRN product is third-party tested to ensure we adhere to high standards of quality and purity.